Although it is now the oldest member of the midsize-truck segment, the 2016 Nissan Frontier holds up surprisingly well. The fresh Chevy Colorado, GMC Canyon and all-new Toyota Tacoma boast better fuel efficiency and new safety and tech features, but the Nissan Frontier still has a few tricks up its sleeve - including lower pricing. 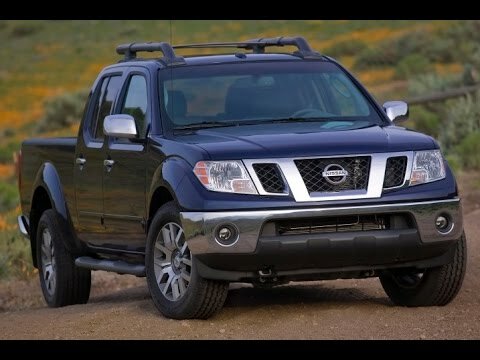 The Nissan Frontier definitely gives more "bang for the buck" while remaining very reliable. I have owned my 2016 Nissan Frontier Pro-4x for approximately 18 months. It came with navigation, Fosgate premium audio, heated seats, 4 wheel drive, and backup camera. I had no problems with it at all. the only maintenance required so far is replacing the battery and changing the oil, oil filter, and air filter. The V6 gives plenty of power for the size of the truck and from previous experience with Nissan products, the vehicle should remain very reliable. My original choice was the Toyota Tacoma, but I chose the Nissan because I was more comfortable in it and I got more features for my money. 2016 Nissan frontier sv four wheel drive. I love my 2016 Nissan frontier sv crew cab short bed four wheel drive. It has the 4. 0l v6, which produces plenty of power for everything from daily driving to pulling my boat and other trailers. It has been a very solid machine with no issues and only normal maintenance thus far. The interior is roomy enough for my family and the bed is sized right to meet my needs. The creature comforts are also top of the line. My wife loves the heated seats and I like how easy it is to hook the trailer up thanks to the backup camera. All in all it is the perfect truck at a reasonable price. Be aware of your blind spot and adjust your mirrors Accordingly. This vehicle is great to drive on the freeway and on long trips. It gets great gas mileage on the highway. The one aspect of driving this truck is the "blind spot" if the mirrors are not set correctly. There have been times when I am on the freeway and a car from behind has been in sitting in the blind spot. Unaware of the car coming up behind me I. Have gone to change lanes and almost had an accident. The problem is alleviated by adjusting the two side mirrors so that the driver can see a wide enough view of what is going on behind you.